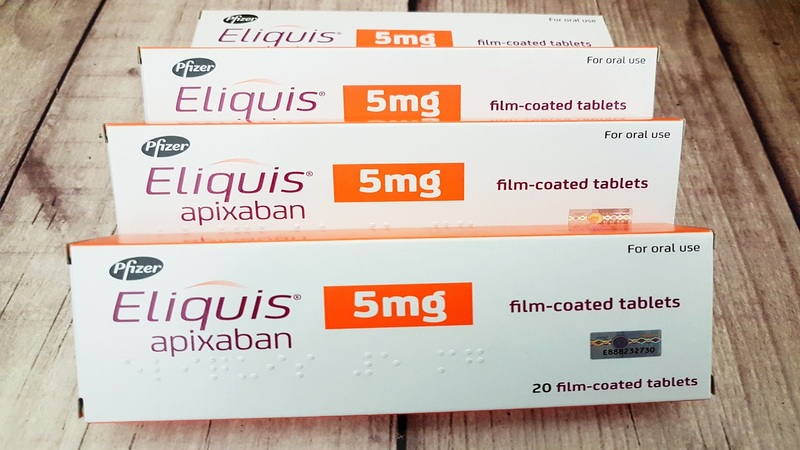 Are there supplements I should avoid when taking I apixaban (Eliquis) or similar blood thinner drugs? Yes, the effectiveness of apixaban (Eliquis), rivaroxaban (Xarelto), betrixaban (Bevyxxa), and other anticoagulant drugs (blood-thinners) classified as "direct factor Xa inhibitors" may be impacted by taking certain supplements. St. John's wort, for example, activates one of the liver enzymes (CYP3A4) that breaks down these medications in the body. This could potentially reduce the amount of these medications in the body and decrease their effects. On the other hand, some supplements may inhibit CYP3A4. Potentially, this could lead to excessive blood levels of these medications and increase their effects and side effects. Supplements that inhibit CYP3A4 include curcumin, echinacea, green tea and others (see our CL Answer about supplement interactions and CYP3A4 for more information). Also be aware that certain supplements may have a blood-thinning effect, which could potentially increase the risk of bleeding when taking Eliquis or related medications, although no studies have directly examined the effects with these specific drugs. To be safe, consult your physician before using fish oil, ashwagandha, chondroitin, curcumin and turmeric, garlic, ginger, Ginkgo biloba, melatonin and resveratrol. Be aware that the blood thinner dabigatran (Pradaxa), which is classified as a direct thrombin inhibitor, is not metabolized by, and does not inhibit or activate CYP3A4. However, as with direct factor Xa inhibitors, taking supplements that have a blood-thinning effect could potentially increase the risk of bleeding. See the extensive Drug Interactions section on ConsumerLab to look up interactions for these and other drugs you may be taking. I take baby Asprin night and morning as as blood thinner, any problems there? Would this relate to low dose aspirin as well? Hi Michael and Lida - Please see our CL Answer about supplement interactions with aspirin and ibuprofen https://www.consumerlab.com/answers/are-there-any-supplements-i-should-avoid-when-taking-aspirin-ibuprofen-or-other-nsaids/aspirin_ibuprofen_NSAIDS/. This CL Answer initially posted on 2/17/2019. Last updated 2/22/2019.